At Booth Movers, we lead the industry in providing high quality commercial logistics services for our valued business customers. Our New Jersey final mile delivery company is committed to professionalism in the industry, and we are long-time members of both the American Moving & Storage Association and the New Jersey Warehousemen & Movers Association. With an A+ rating from the BBB, you can count on our experienced team of moving professionals provide a satisfactory customer service experience that eclipses all other New Jersey final mile delivery services! 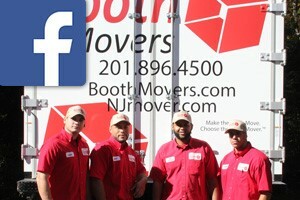 For over 70 years, Booth Movers has specialized in helping business with their Ridgewood logistics, and our team is specially trained to handle all of your New Jersey final mile delivery needs. Whether you need to transport your products from a centralized location or require in-home delivery services for your customers, our New Jersey final mile delivery company has got you covered! No matter how large or small your logistical and delivery needs are, our New Jersey final mile delivery company has the experience to get the job done quickly and efficiently. As a proud agent for Atlas Van Lines, we are connected to a global network of moving professionals dedicated to making your business delivery system a seamless process from start to finish. Commercial Moving – Minimize downtime and keep your relocation on budget with the professional commercial moving team at Booth Movers! Commercial Storage – Our New Jersey final mile delivery company offers short and long-term commercial storage options to suit the needs of your business. For the best in New Jersey final mile delivery services, there is no better choice than Booth Movers to handle all of your logistics needs! To find out more about our commercial services, give us a call today! You can also fill out our online quote form to request your free, no-obligation estimate!